Bitcoin merchants and users can breathe a sigh of relief as the Hong Kong authority finally announced that the digital currency will remain unregulated. The significantly smaller market that accepts Bitcoin in the country became the primary factor behind the authorities’ move to dismiss the call for Bitcoin legislation. Although Chan dismissed the possibilities of creating new legislation to regulate Bitcoin and its usage within the Hong Kong jurisdiction, there may still be a chance that such will occur in the future should the need arise. However, based on the data collected by the government, Bitcoin will not impose substantial effects on the local environment. The government’s decision surprised some concerned groups in the community, given what had happened to about 3,000 investors who became victims of the MyCoin Bitcoin investment scam. According to reports, the investors have suffered losses amounting to an estimate of HK$3 billion. Police has already received complaints from over 100 persons related to the fraud case, and of the filed reports, the amount lost currently sits at $180 million, he added. With Bitcoin remaining to be unregulated, industries that operate on the digital currency can expect friendlier policies. However, Chan clarified that Hong Kong’s existing laws against unlawful acts will still apply. Regardless, officials recently stated that gambling in offshore casinos is not a violation of the law, thereby making Bitcoin gambling legal. Thus, online gamblers should not face troubles in placing bets in Bitcoin sportsbooks, casinos, and poker rooms. Other than the international gambling sites that also cater to the Asian market, there are also online betting platforms that specifically provide services to the region. 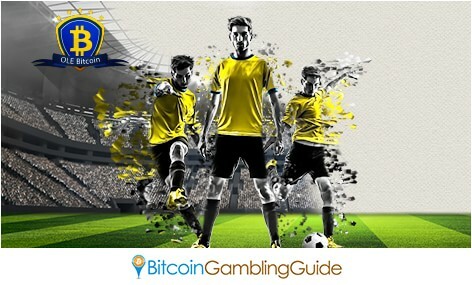 For instance, OLE Bitcoin, which used to operate under the name SboBitcoin, is the perfect venue for bettors who wish to bet on a wide range of sports that also include Asian handicap. Club178 is another website for Hong Kong gambling enthusiasts. Unlike the typical Bitcoin casinos, this platform is based on a legal casino and provides casino and sports betting in real-time.